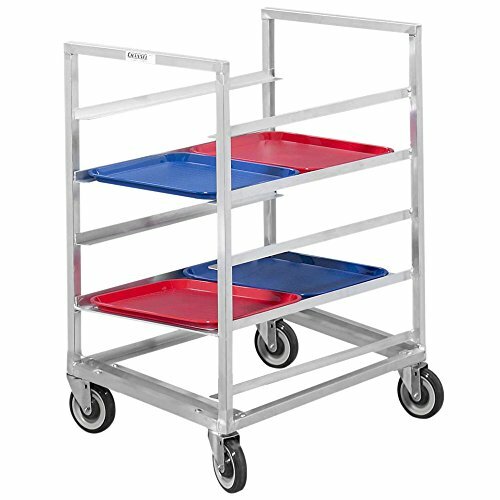 Keep your cafeteria running as smoothly as possible with this Channel 445A3 20 tray bottom load aluminum cafeteria rack! Perfect for a variety of functions, from holding and storing to transport applications, this rack accommodates up to (20) 15" x 20" trays on its sturdy tray slides. These slides are spaced 3" apart and feature a convenient bottom load design for quick access during meal rushes.